Triathlon fans are invited to enjoy the spacious beer garden at the Erdinger Urweisse Hut with its Bavarian dishes and Erdinger wheat beer specialties. On opening night visitors can enjoy live music. and share a refreshing Erdinger alcohol-free beer. 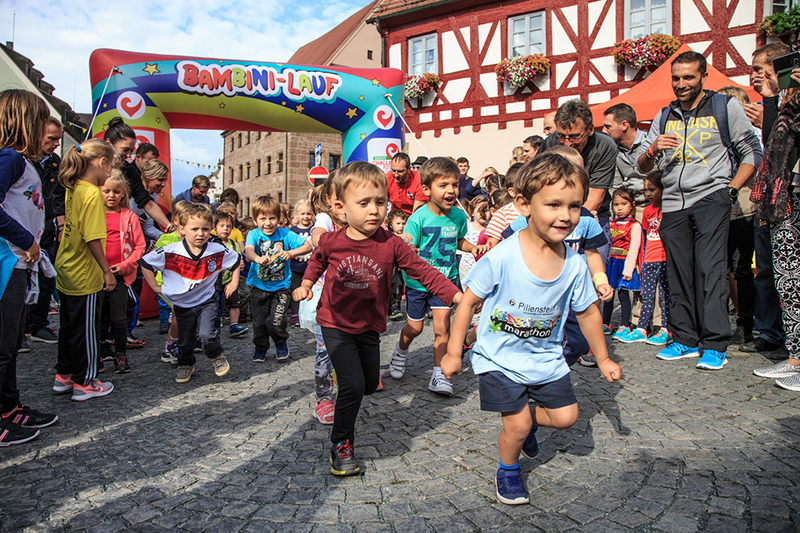 The must-do run event for children, organised by the Hilpoltstein’s Culture and Tourism Office, together with the La Carrera Rothsee Tri Team. Entry is open to all children aged three to six years old with two start groups (ages 3 to 4 and ages 5 to 6). The course runs from the square to the end of Market Street/start of Siegert Road and back and is about 150m long. Certificates and medals are lovingly made by the Hilpoltstein kindergartens – the Schutzengel-Kindergarten, the Bartimäus-Kindergarten, the Arche Noah-Kindergarten, the Kinderhort Räuberkiste and the St. Martin-Kindergarten Meckenhausen. DATEV Challenge Roth participants. At 8.15pm Mayor Markus Mahl sends the runners off on the 11.6km course. Then the La Carrera Rothsee Tri Team takes over to make sure every runner makes it home safely. From 5:30 pm there is music and info from TEAMCHALLENGE and refreshments from 'Landbrauerei Pyraser'. Together TEAMCHALLENGE, BAYERN 3 and Roth food vendors invite the town to enjoy the sporting musical highlight of the year on Friday night – the legendary BAYERN 3 Party at the Roth Market Place. 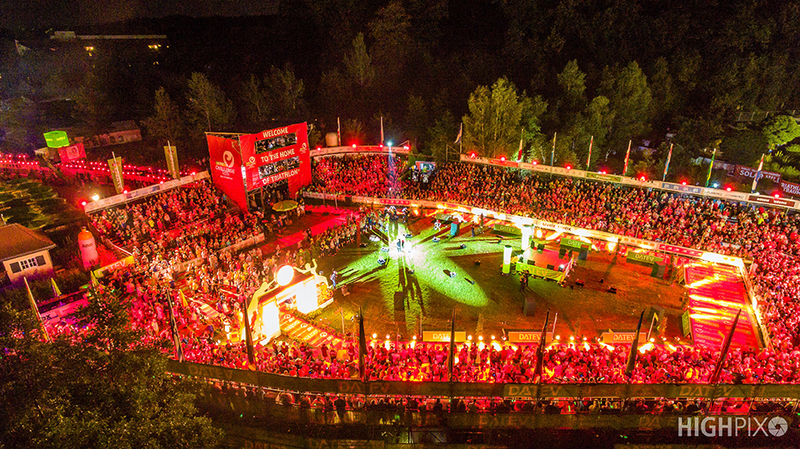 Last year the party attracted over 6,000 people to celebrate the start of DATEV Challenge Roth. 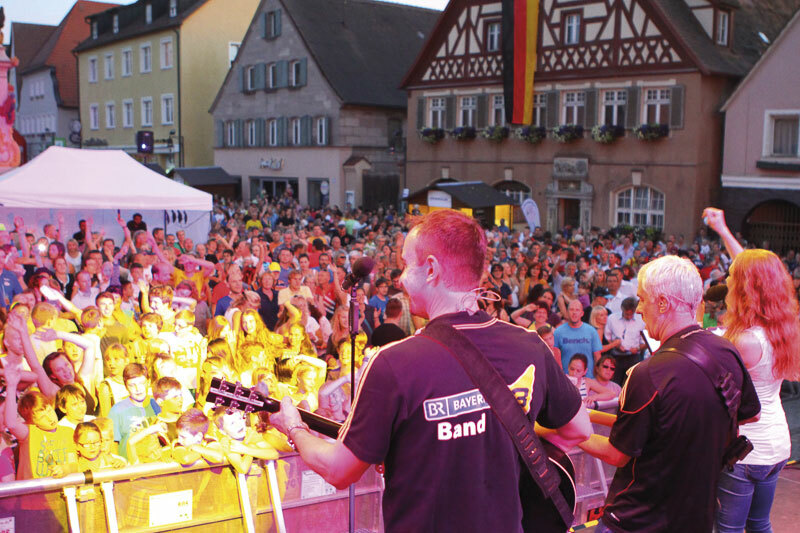 A live DJ will get the party going from 5pm before the historic market square is transformed by the BAYERN 3 band into party central while the Roth food outlets provide sustenance. Not required – free admission! Challenge forAll is a highlight of the Roth Triathlon weekend with its multiple distances and race categories. From sprint distance to corporate teams to family teams, there is something for everyone. Junior Challenge is an event full of young achievement, organised in co-operation with SFV-Aurau eV and many volunteers for the past 13 years. A huge amount of spectators line the pool and course and participants from many countries are expected. Here youngsters experience their own personal ‘Challenge’ – the competitive atmosphere is on a par with the ‘large’ Challenge! Challenge Women is the ultimate 5km fun run and walk for all ladies, taking place at the Challenge Women Expo Area at Triathlon Park. 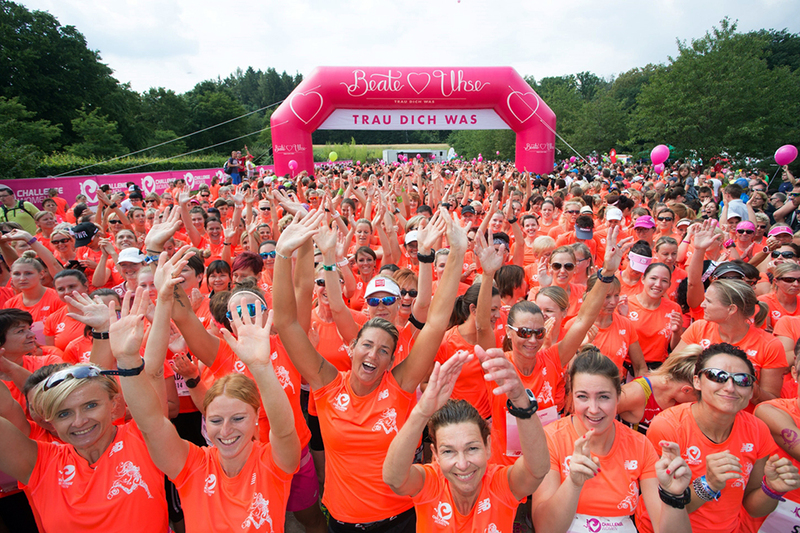 At 10.15am all women of different speed will start together with their best friend, mother, daughter or within a group to experience the goosebumps feeling. Guided by an enthusiastic crowd of spectators, they will be greeted at the finishline with drinks, fruit and snacks. Every participant will receive a premium New Balance sports shirt along with a stuffed goody bag. The expo will over a colorful program with sunset yoga on Friday and delicious food. The big BAYERN3-Countdown-Party will transform the Heideck Market Place into a “party zone” with an entertaining program by and with BAYERN3. DJ Jerry Gstöttner and Nicole Cross will bring you cool music; moreover, there will be interviews among others with Triathlon World Champion Jan Frodeno as well as interesting information about DATEV Challenge Roth. 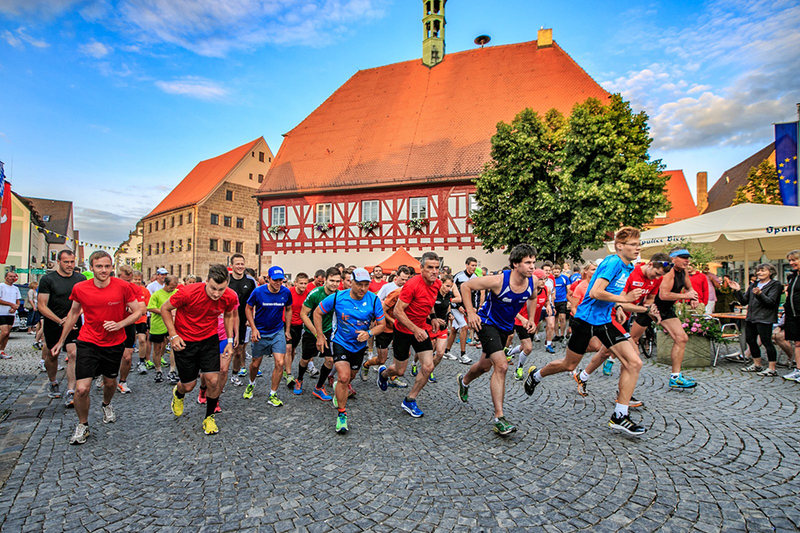 There will also be several food stations, offering typically Franconian delicacies, and the local clubs from Heideck will offer beer and other drinks. At 8.30pm BAYERN3 will start the warm-up, from 8.30pm on host Jerry Gstöttner and Ralf Beyer, major of Heideck, will welcome on stage Jan Frodeno, Felix and Kathrin Walchshöfer as well as the organizers of the Hot Spots. Afterwards, at around 9pm YouTube star Nicole Cross will perform on stage while at 10pm DJ Jerry Gstöttner will take over and heat up the place with party music. The big finish line party is the emotional highlight that marks the end of race day. With great music, interviews with the day’s stars, entertaining commentary and a few surprises! The most enthusiastic applause is always saved for the final finishers racing for the line before the course closes! The spectacular fireworks at 11.00pm with many new special effects to rousing music – not to be missed! Everyone can and should be there! Come and celebrate with us - no registration required! Wed., June 27 03.00 p.m. – 08.00 p.m. Thu., June 28 10.00 a.m. – 10.00 p.m.
Fri., June 29 10.00 a.m. – 10.00 p.m. Sat., June 30 10.00 a.m. – 10.00 p.m. Sun., July 01 12.00 a.m. – 11.00 p.m. Mon., July 2 08.00 a.m. – 02.00 p.m.